Grandstand 15 is placed centrally on the apex of the Turn 10 hairpin. From here you can see the approach and exit of this famous turn that has been the scene of many an overtake or accident. None more famous in modern memory than Robert Kubica`s accident that barrel-rolled his car through the corner into the run off area in front of this grandstand. Grandstand 11 is on the exit of Turn 2 aka The Senna Curve. This Grandstand offers a view of Turn 2, and the pit lane exit. Those sat on the right of the stand (when facing the circuit) can also see Turn 1 and some of the start finish straight. Turns 1 and 2 are famous for incident, especially at the start of the race. 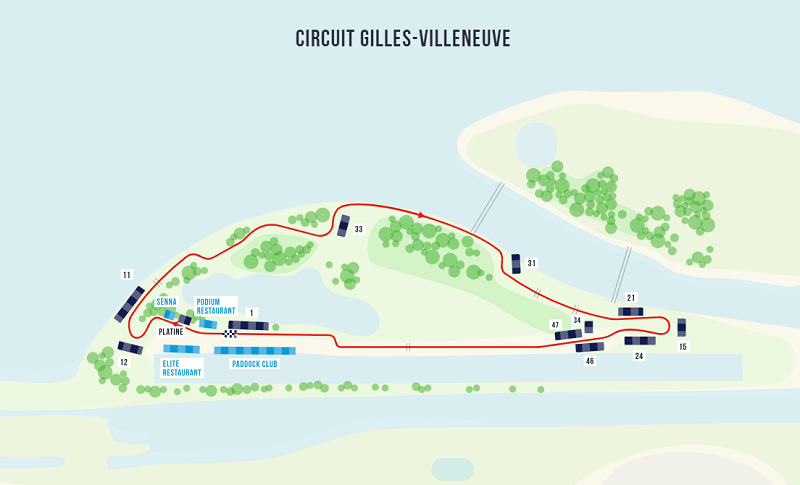 This circuit is in the unique location of Parc Jean-Drapeau on Notre Dame Island, a man-made island hosting the rowing lake from the 1976 Summer Olympics in Montreal. 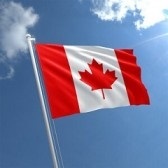 Whilst you enjoy the exciting Canadian atmosphere, you will also have the luxury of viewing from the pit building.